Celebrated on February 14, Valentines Day is an occasion people across the world, irrespective of the nation, caste, religion or creed look forward to express their love to the ones closest to their heart. There are different ideas to the way Valentines Day celebration began. Some experts associate the event with two saints named valentine of the early Christian church. One of them would secretly conduct marriage of couples by disobeying the rule of Roman Emperor, Claudius; while other was a lover of children but, was imprisoned when he would not honor other gods. The children missed him and wrote messages of affection to him through the bars of the cell. This can be considered as the beginning of exchanging messages. Some link it with an old English belief that love birds choose their mates on February 14. Valentine's Day probably came from a combination of all the above sources, along the belief that spring is a time for lovers. 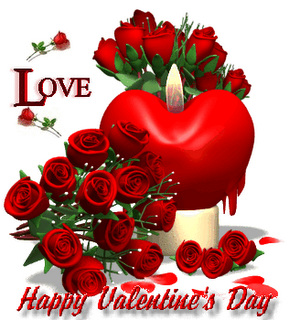 In the US, 64 percent of men do not make plans in advance for a romantic Valentine's Day with their sweethearts. Share these fun facts about Valentine's Day with a friend. Your sweetie might be especially interested in the last item. Happy Valentine's Day! Physicians of the 1800's commonly advised their patients to eat chocolate to calm their pining for lost love. Richard Cadbury produced the first box of chocolates for Valentine's Day in the late 1800's. Over $1 billion worth of chocolate is purchased for Valentine's Day in the U.S.
California produces 60 percent of American roses, but the greater number sold on Valentine's Day in the United States are imported, mostly from South America. Approximately one billion Valentines are sent out worldwide each year according to estimates by the U.S. Greeting Card Association. That's second only to Christmas.